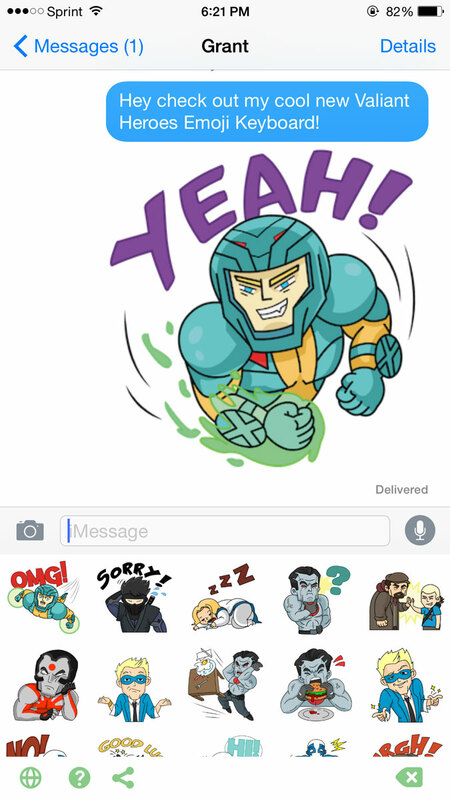 Fellowship Previews: Valiant and Swyft Media Announce Valiant Heroes Emoji Digital Stickers – Available Now in the iOS App Store and Google Play! Valiant and Swyft Media Announce Valiant Heroes Emoji Digital Stickers – Available Now in the iOS App Store and Google Play! Valiant Entertainment is proud to announce it is working with Swyft Media, the company driving the emojification of brand marketing, to bring Valiant's best-selling comic book icons directly to fans' mobile devices around the world with the Valiant Heroes Emoji – the first in a new line of digital sticker packs featuring emoji-style renditions of X-O Manowar, Bloodshot, Ninjak, Faith, and more of Valiant's greatest superheroes! Available now in the iOS App and Google Play stores, fans can add a nanite-enhanced new element to their mobile messages by expressing themselves with the heroes of the Valiant Universe! Straight from the pages of Valiant’s award-winning comics and graphic novels, grab exclusive digital sticker packs to text friends and family with all-new, never-before-seen Valiant emojis – including Apologetic Ninjak, Frustrated Bloodshot, Exclamation Archer, and more than 20 other designs for just $1.99! Fully compatible with Facebook Messenger, WeChat, Viber, LINE, Skype, WhatsApp, and more, as well as standard texting and SMS, send these stickers through your favorite mobile texting platform to let all of your friends, family, and loved ones just how Valiant you are feeling! Standard text and data rates may apply. "With more than 300 brand partners across the entertainment, media, and technology sectors, Swyft Media is an ideal partner for Valiant as our fans around the world continually look for more innovative and exciting ways to both engage with one another and bring new readers into the fold," said Russell A. Brown, Valiant's President of Consumer Products, Promotions & Ad Sales. The future is here…and it is a digital sticker of Archer & Armstrong high-fiving." “We are very excited about the opportunity to work with Valiant in this very exciting and growing space to create a fun and engaging way for consumers to download and share their favorite Valiant emoji," said Sean O'Brien, Co-Founder and Vice President of Swyft Media. "With more and more people spending time on their mobile devices in their favorite social applications, this is a great way to bring the iconic characters and content of the Valiant universe to these engaged fans!" 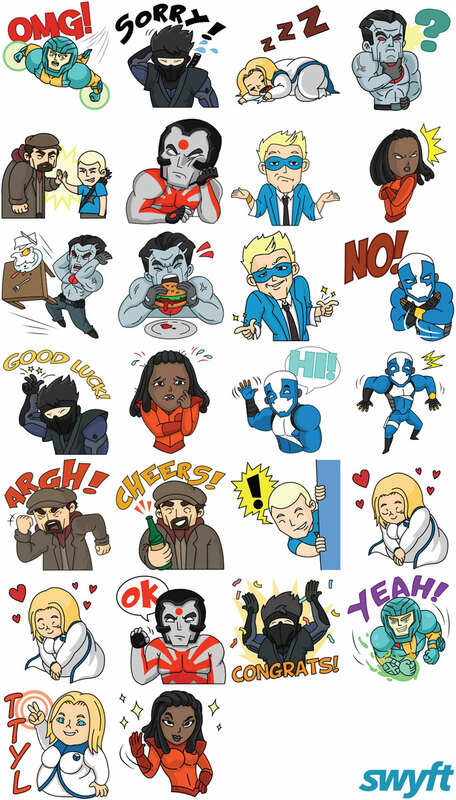 Download the Valiant Heroes Emoji digital sticker pack now in the iOS App and Google Play stores to get started today!